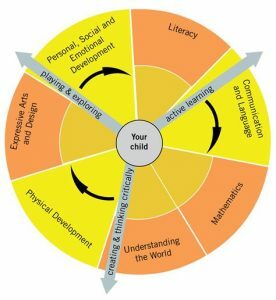 The Early Years Foundation Stage (EYFS) helps us to prepare our children for school, giving them the broad knowledge and skills required to provide the right foundations for progressing well through school and future life in general. 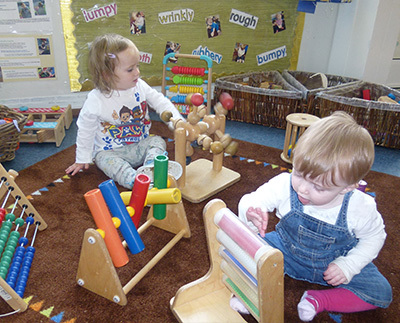 Learning through play- is an important part of the care and education provided by The Hunny Nurseries. The early years foundation stage (EYFS) provides us with a framework designed to assist staff facilitate learning through planning an environment and activities that ensure a child’s learning and development is as natural and as fun as possible. We ensure that our babies, toddlers and preschool children recieve the right level of learning and stimulation for their development stage and we actively promote positive interaction and learning through play. For example, between 2 ¼ and 3 ¾ years: learning about special times or events for family or friends and being able to describe them. Being able to talk about some of the things they have observed such as plants, animals, natural and found objects.